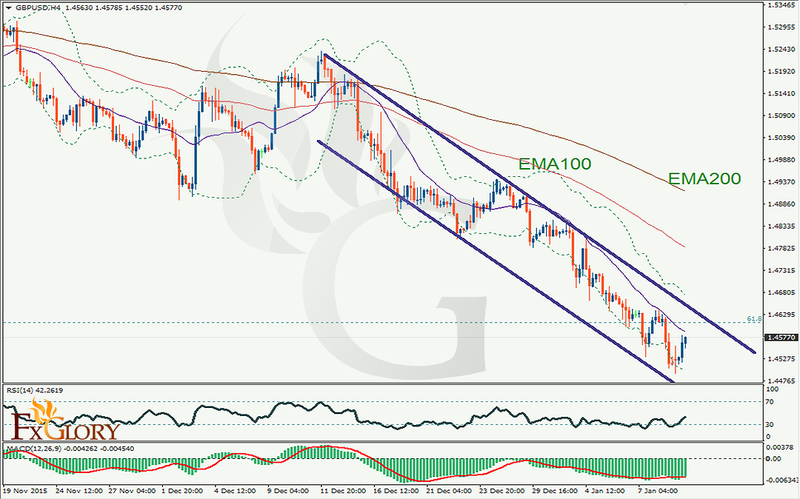 We had a technical analysis before on GBPUSD and all signs were indicated on a bearish trend. Honestly we are still on that trend but the reason of this analysis now is bearish channel started exactly one month before on 11Dec. 2015 and still is going on. More than 700 pip bearish channel is still respected but for those who are in short positions, they should be a little more aware as indicators are starting to act and show a correction may occur. According to figure a correction will be expected. It may be the end of this bearish trend or just a correction. We can judge about it when it happens and signs are veil. Exiting from a position is one of hardest steps in trading psychology especially when trend is still shining.